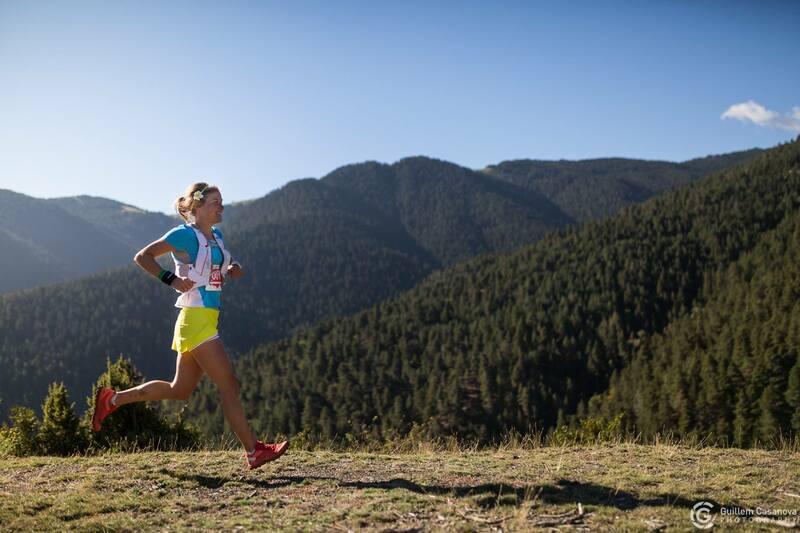 September had come and I had just got back to my home in the alps after a week in the states running the RUT. I knew what I had in front of me. 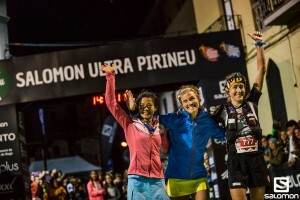 Ultra Pirineu, the last race in the ultra skyrunning serie. Of course I knew I was gonna run it, I just had blocked it out from my mind. Because it intimated me! My plan in the beginning of the summer was that I would probably have enough km and meters altogether in my legs to run it but maybe a little lack of these longer trainings that would be good. I exchanged those longer trainings into mountaineering days, which was wonderful for my mind. The week before the race I was tired! I´m pretty sure my body was preserving energy for the race. That is a cool feeling, if you let your self think it is that way. Now when I feel like that I don´t get to stressed, I just realise that sometimes the body is more cleaver than the mind. I like the planning before a long race like this. To think about a strategy and the ultimate energy and water intake. 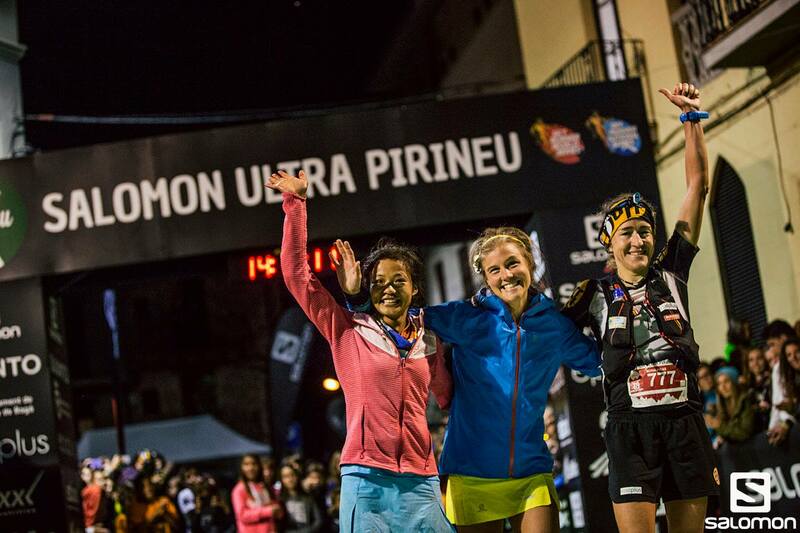 I knew it was gonna be hard after 9 hours, I guess like for everyone, but I also knew and thought that Nuria Picas and Mira Rai are really strong after many many hours of running. They can go on forever! The morning of the race was incredible, just the start with thousands of people, the atmosphere vibrated with anticipation and excitement. It´s a long uphill to start with and this year in long distance I can feel very good in pushing harder in the beginning and the uphills. So I did. I saw the girls behind me and that was also good to keep the contact. Just as I wanted! It´s always hard to don´t see they girls behind! The sunrise and the people during the first climb to Niu was so energizing! After that to km 40 the village Bellver it was smooth and nice undgulation running with a lot of downhill. In the beginning I had company with Mira, but towards the Village it was Nuria with me instead. So great to run with her again! We chatted along to the next aidstations until Aguila km 61 we had company with Mira close behind us! From Gosol to gresolet 74-86 km Mira and I was running together, she is an incredible runner. I enjoyed so much to run with her. Easy steps and she never seemed tired. Just before the aidstation at km 96 I made a little push to leave a little gap. I wasn´t sure it was going to work but I made a try. I filled some water and left for the big last climb to Sant Jordi. Here I got really paranoid. The climbed last forever and I thought I was on the wrong track. Even though the calm part of my brain told me I was right, I just couldn´t feels secure. I stopped and started to go back. But then I convinced myself that I was just tired and my mind was playing with me. THE RELIEVE when I came to the aidstaion!! Here it was a small downhill, a little uphill and then a 7 km downhill to the finish line. I started to push a little more. I told my legs that it was the last hour and I would just don’t think about being tired. It´s all about the mind. For a while I got company with some kids that wanted to run with me. It was amazing. They knew all about the sport. The told me about runners, their season and how this races unfolded. 2 km from the finish line people started to scream I was the winner. I doubted still. The race was not over! Entering the village with all the people standing there, the atmosphere buzzing with energy I finally realised I had done it. My longest race in many years, after long summer. It was huge. This is one of my biggest victories. And for all of you who ran UP. You are amazing! What an achievement. You are heroes. I love the idea: your body preserving you before the race. Thanks to share with us. Amazing and addictive for our normal daily life. You make us dream just a little. One question, with so a lot of k and D+-, wouldn’t be helpful the use of poles?